This rectangular box, consisting of two containers with corners mildly curved, was used to store sutras. 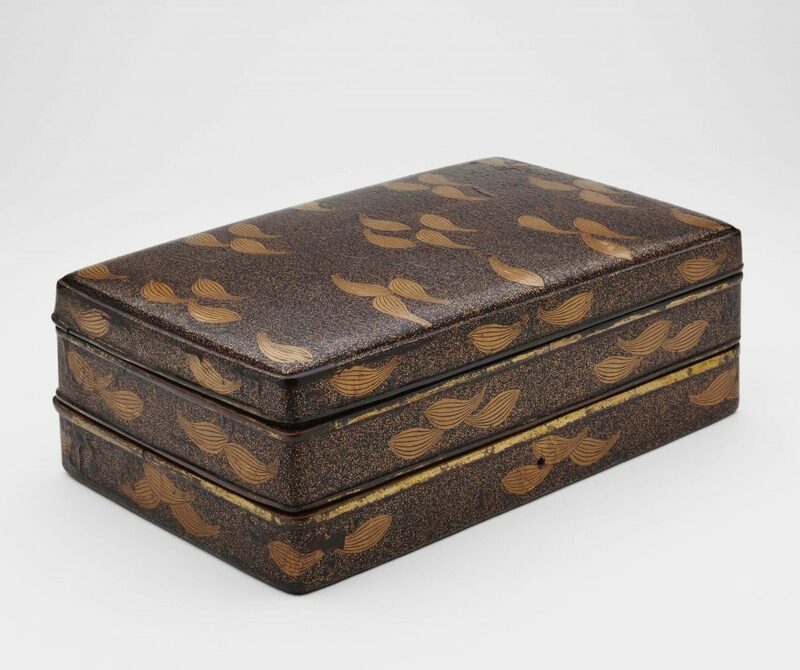 The entire box is coated with black lacquer and the outside of the lid, sides and inside of the containers are sprinkled with gold to produce a “pear skin” background (nashi-ji ) on which the patterns of lotus petal are scattered. The petals are arranged in systematic groups which is the method often used in Kamakura period. Some petals are slightly twisted or have saw-tooth lines. Such delicacy adds a special touch to the box. Formerly owned by Fujita Family.